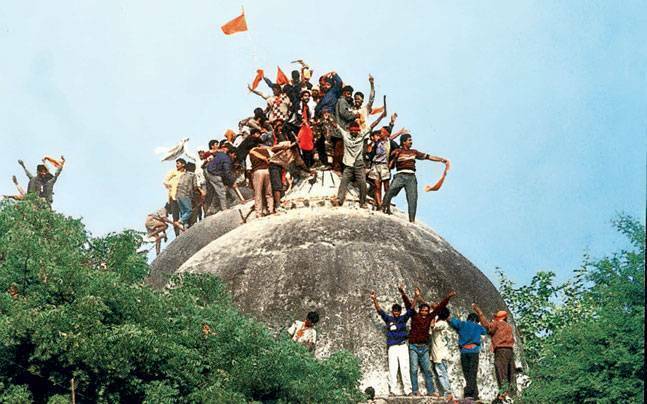 The Supreme Court ordered the prosecution’s allegations of conspiracy against the BJP leaders, including the Allahabad High Court suspended former Prime Minister Lal Krishna Advani in the Babri Masjid demolition case. The Indian Supreme Court Allahabad High Court Lal Krishna Advani, Murli Manohar Joshi and suspended over charges of plotting to topple the mosque against Uma Bharti. The Allahabad High Court had given the Red Lal Krishna Advani, Murli Manohar Joshi and charges of plotting to topple the mosque against Uma Bharti, Investigative agency CBI court’s decision was challenged in the Supreme Court, The Supreme Court allowed the prosecution’s application under the CBI while accepting Lal Krishna Advani, Murli Manohar Joshi and charges of plotting to topple the mosque against Uma Bharti. The action of this case that the Supreme Court has ordered to be completed in 2 years, The judge hearing the proceedings are pending and the trial will not be allowed to be transferred. In the trial, but the minister Uma Bharti will also include Kalyan Singh, who was minister of Uttar Pradesh when the Babri Masjid demolition, This decision will not come in the circle because he is Governor of Rajasthan and receive immunity from prosecution. The court ordered that the trial be completed within two years and in case of action continue to be postponed on a daily basis. Hearing about the demolition of the two cases will now be in writing. Babri Masjid was demolished on December 6, 1992 and on that day Lal Krishna Advani, Murli Manohar Joshi and Uma Bharti was present in Ayodhya. There were thousands of Hindu devotees passions ignite and face charges of criminal conspiracy. BJP leaders, it is a big and old dispute the court order the birthplace of the Babri Masjid and Ram will be in the headlines. Although the Babri Masjid demolition 25 years have passed but not yet any punishment in this case. The Supreme Court gave a symbolic prison sentence not to promise Kalyan Singh would be no damage to the mosque. Hindus believe in a circle where the Babri Masjid was built, there were thousands of years ago created the Ramtherefore, there must be a magnificent Ram temple construction. Land ownership is currently the case the Supreme Court and Chief Justice said last month that the parties should try to resolve the dispute among them together.